MD and CEO of Canara Bank, Inaugurating Braille Resource Center. Providing Residential Accommodation to Senior Citizens. Why this name? It was in the early sixties that Canara Bank with its zeal to serve the community, besides banking, took up relief and welfare measures for the victims of natural calamities like floods, famine etc The public response and the needs of the have-nots ultimately made it a unique project and thus the Relief and Welfare Society came into existence in the year 1961.The initial donation came from Canara Bank, hence the name. Finding homes for orphaned children. Financial assistance to the students of economically weaker section. A Beacon Light of social service. 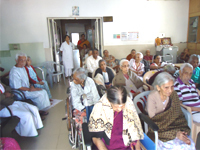 Medical care for ailing elderly persons. Counselling Services provided for Pre and Post Adoption, behavioural and teenage problems in children, marital problems etc. 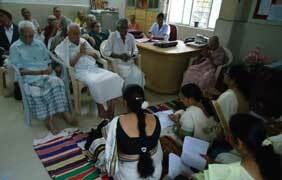 Providing care takers to the needy elders / sick people. Social service activities for the needy public. Free Eye checkup camp organized by Mathruchhaya. Visitors to Braille Resource Center. I joined Mathruchhaya one and half years back as a volunteer. My experience with Mathruchhaya is amazing. Volunteers are given lot of freedom and respect. I am getting immense pleasure as I am contributing to needy persons of the society and Mathruchhaya is instrumental for that. I would also like to say that Mathruchhaya is doing a wonderful job in empowerment of visually impaired students. 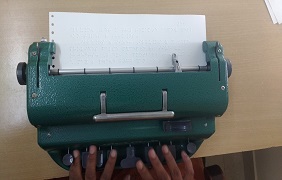 I am associated with Braille Resource Center since 15/03/2011 doing Reader Service. 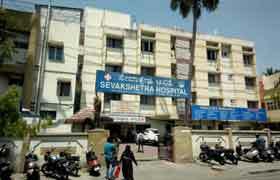 It gives me great pleasure in doing service, I stay in Sevakshetra Oldage home. I am really happy that Organisation is doing good service to many Students/ Organisations. I convey my best wishes to Mathruchhaya and good luck in all its future endeavours. Mathruchhaya is certainly different and stands significant amongst the Service oriented NGOs. Since its firm foundation in the year 1961 till date the Institution has penetrated to the last stratum of the society in alienating their sufferings through various innovative welfare activities. Behind the relief and welfare activities lies the dedicated service of volunteers and committed team work of staff members constantly guided by the able committee members. 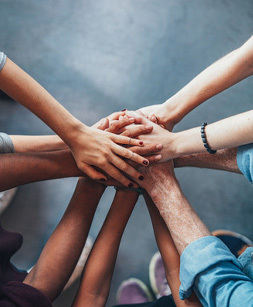 Mathruchhaya’s programme of sowing the seeds of volunteerism and encouraging volunteers to lend their helping hand is a model for the community. 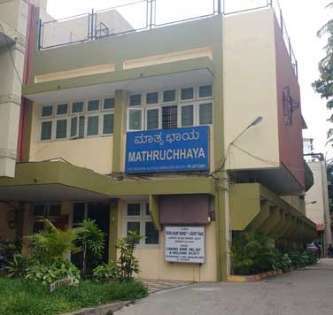 Serving young, aged, sick and disabled under one roof makes Mathruchhaya DIFFERENT. Three decades of association with CBR&WS are the most satisfying years of my voluntary service.